Mercedes Ramirez Johnson » Reason to Celebrate… To See, To Feel, To Be! I have TWO big and adorable reasons to celebrate International Rare Disease Day… Dorian and Wynn Johnson my awesome baby boys. These little guys are my heroes. 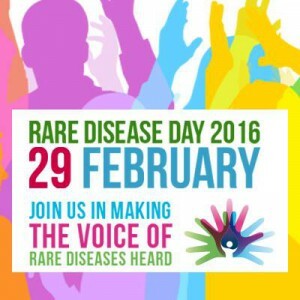 They have brought me to the world of rare diseases. They have connected our family with other i-cell warrior families. They have taught us how to love unconditionally and unapologetically. They have taught us how to be brave, how to come together when times get rough, and how to smile even in the darkest of days. Most importantly, they have shown us many glimpses of heaven and made us feel God’s love and protection. 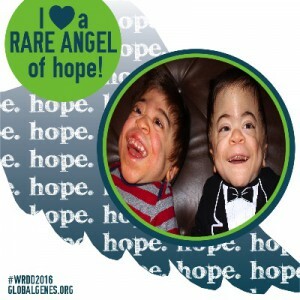 While many people around the world will observe International Disease Day for their own reasons, I will celebrate the life, victories and memories of these pint sized warriors. Do you know anyone affected by a rare disease? Often they fight battles you never know. Often they are knee deep in medical bills. Often they are sleep deprived and short on patience. Often they put on a smile when deep down inside all they want to do is scream or punch a pillow. There’s truly not much you can do to take away all the stresses they deal with, but by acknowledging the battle they fight you are telling them “I see you. I feel for you. I am here for you.” You have no idea how much that will mean to the silent warriors in your life. Share this post and tag them on it. See them. Feel for them. Be there for them.